← Nuna legend optimistic….Stainless likes the Dees in 2012 ! Cameron Clark and David Cowell junior opened the batting for the Nuna Pirates Under 12s on Friday in a must win game vs Blackburn. In a sensational start to the innings, they put on an unbroken 57 run partnership in 8 overs before both players were retired. There were pull shots galore as these young tyros did their Dads proud and helped set up the Pirates competitive score of 5/175 cc. 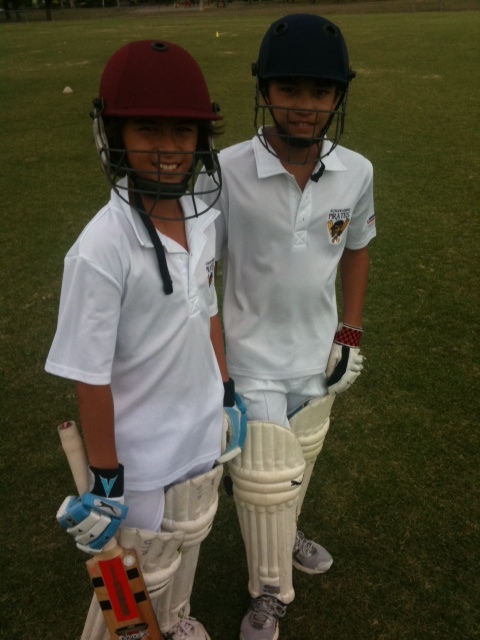 Speculation abounds that the sons are already better cricketers than their Dads !